Did someone say captchas? Okay, I heard it! Let’s see how these can be handled using Selenium WebDriver and yeah, we will try getting this done quickly as I will have to shoot off to a contest later today. CAPTCHA is a bacronym for “Completely Automated Public Turing test to tell Computers and Humans Apart”. Oh, don’t get mad at me! That was not a typo! There really is something called a bacronym/backronym. When an abbreviation is formed from the initials of other words, it is called an acronym. But if a new phrase is created to fit already existing initials, then it is called a bacronym. So now that you know what a bacronym is and what a CAPTCHA stands for, lets get into the details. Captchas are mainly used to determine whether the user is a human or not. It generates images or some form of tests that humans can solve but bots/computer programs cannot. So its main purpose is to prevent bots and other automated programs from obtaining any sensitive information from the website. Hence captcha exists to kill automation! If we are able to automate it, then the reason of using captchas become worthless. But be very sure that these are ONLY active in the testing environment and are used ONLY for the purpose of automation. Note that the application security is getting compromised while testing using these methods mentioned above. If you want to test the application as it is, i.e. without making any modifications to the testing environment for the purpose of automation, then separate all test scripts that involve captcha validation and package them as a single test suite. Run this test suite with human intervention. I know this is partial automation but it is not always possible to automate everything under a given set of circumstances. To get something you should be ready to forego something. Entire test case except captcha can be automated. An implicit or an explicit wait can be used and user can be promped to enter the displayed captcha. When the test script is run, each step will be executed as usual. Once the prompt command is reached, a pop up appears on the browser. User enters the captcha as displayed on the screen. 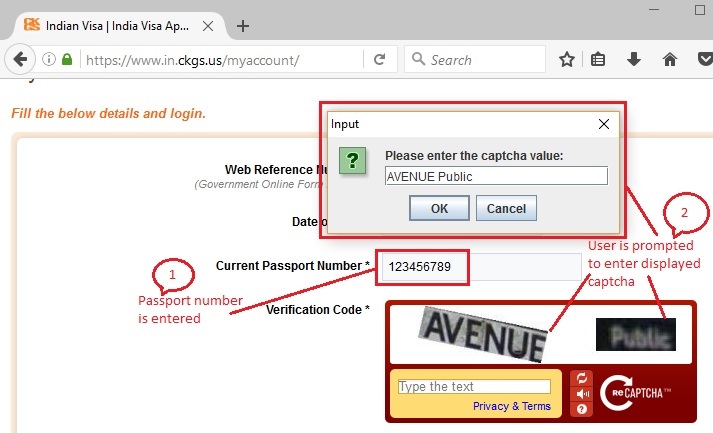 Once the captcha is entered manually, the test case execution resumes and the subsequent steps are run on the browser. This was the procedure I followed in one of my previous projects. Because this method makes sure that the application under test is exactly the one that will be pushed into production and also the security is not compromised in any way. Let us look at an example to get a better understanding. The comments are clearly provided for each line of code. JoptionPane pops up a standard dialog box and showInputDialog prompts user for some input. 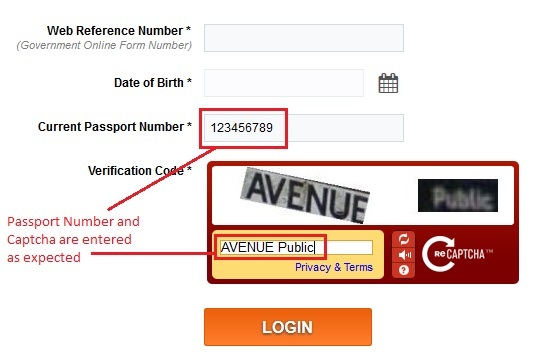 Once the user enters the displayed captcha and clicks ‘OK’, it will be saved to the string “captchaVal”. This value saved in ‘captchaVal’ will be entered in the captcha text box located by id. In JUnit pane, green bar shows that the test case is executed successfully. Below image shows the final output executed in Firefox browser. I got you all covered on captchas! See you again in another post. Happy it helped you, Ajay.